Advanced maternal age (AMA) is defined as age > 35 years old at the time of delivery. In women older than 35 there are increased genetic risks in pregnancy. These risks are primarily related to the fact that the eggs from which the pregnancy was conceived have been present from the time the mother was an embryo. The aging process of the egg involves mechanisms of cellular division. Defects in the cellular division process can lead to abnormal chromosome numbers in the fetus. Abnormal chromosome numbers lead to defects such as Down syndrome (extra chromosome 21 or trisomy 21), trisomy 18, and trisomy 13. Many of these abnormalities in chromosome numbers will lead to a higher miscarriage rate. Testing is available for the most common of these chromosome abnormalities. Down syndrome can be detected by a triple marker screen. A triple marker screen consists of estriol, hCG, and maternal serums alpha fetal protein (MSAFP). This is a blood test drawn between 16-18 weeks gestation. If the results of this testing are abnormal, further tests will be required to diagnose any potential abnormalities. Other testing used to evaluate for Down syndrome includes ultrasonography and amniocentesis. Amniocentesis involves the insertion of a needle into the sac around the baby to withdraw fluid for chromosome testing. In women over the age of 35, an amniocentesis will likely be recommended regardless of the MSAFP test results. The risks of this procedure include, but are not limited to, infection (1:1000 with loss of pregnancy), rupture of membranes (1:500, potential infection, labor, or poor fetal lung development), fetal damage, or intrauterine bleeding. Another test used less commonly is called chorionic villous sampling – CVS. This procedure involves taking a biopsy of fetal tissue at an earlier time than is possible with amniocentesis. Preimplantation genetic diagnosis, PGD, is an evolving tool for genetic diagnosis in the setting of genetic abnormalities. To learn more about PGD click here. There is not a 100% accurate test. The triple marker screen has inherent limitations that make it useful only as a screening tool. The “normal” range for the test has been adjusted to try to detect most abnormalities, but this adjustment will also give a false positive (no disease present) in many women. Ultrasound alone is not completely reassuring as 25% of babies with Down syndrome can have normal findings on ultrasound examination. These tests will be made available to patients seen early enough in pregnancy (before 18 weeks). The decision to terminate a pregnancy with chromosomal abnormalities will be the decision of the parents. Some people choose to have the testing even if they would not terminate the pregnancy in any instance. They use this information to better prepare themselves. You should fully understand all the available tests and options before making a decision concerning your pregnancy. Patients will be able to seek additional counseling with a Maternal-Fetal Medicine, or high risk pregnancy doctor upon request. Genetic counselors are also used frequently to help people understand the risks involved with advanced maternal age. The table below indicate the risks of chromosomal problems and miscarriage rates associated with age. Women using donor oocytes will have their risk of age related abnormalities based on the age of the donor. A 45 year old woman using eggs from a 25 year old woman would have the chromosomal abnormality risks equal to that of a 25 year old woman. You can learn more about donor oocytes here. ASRM provides an excellent patient resource on Age and Infertility. Preimplantation Genetic Diagnosis (PGD and CGH) Problems with chromosome numbers that can cause problems like Down Syndrome, Turners Syndrome, and other genetic abnormalities can be detected by using PGD, or preimplantation genetic diagnosis. PGD is an evolving science that will drastically change infertility treatments in the future. By taking a cell from an embryo during IVF treatment, a genetic test can be performed on the embryo. The genetic test can look at the number of chromosomes present to detect any extra or missing chromosomes. By using only the genetically normal embryos, the pregnancy rates are drastically improved and the chance of miscarriage, or pregnancy loss goes way down. 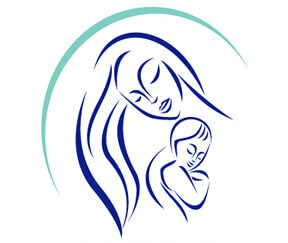 California IVF: Davis Fertility Center, Inc. has been providing advanced genetic testing since 2005. We have outstanding success rates using this technology. To learn more about CGH, FISH, and Genetic Diagnosis, click here. This page is intended to summarize age-related risks in pregnancy. If you have any questions please ask before proceeding with any attempts to achieve pregnancy.